NewsClicks Quarter 3, 2014 Issue. Don't Miss Out, Read It Now! Wow! This year is just moving by too fast, and we at CrucialClicks.com cannot believe it. 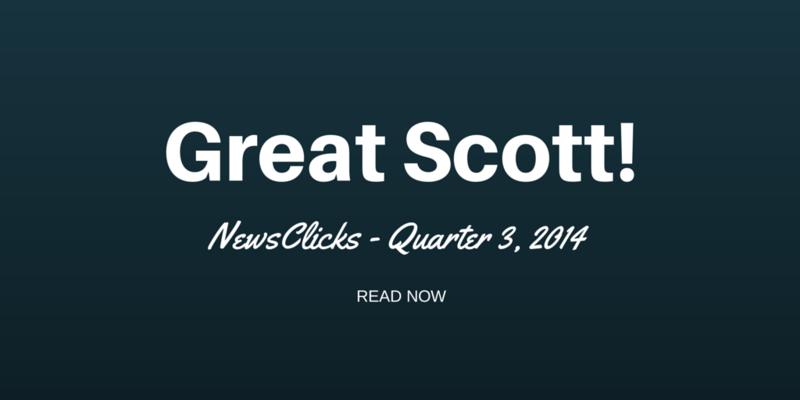 We have just released our latest NewsClicks for the third quarter of 2014. In it, you will find a bunch of great stuff. We went to The Big Apple to brush up on the latest in Search Marketing. Google has had some changes (what’s new?). Also, if you use Facebook, you won’t want to miss the Do's and Don'ts for business. Read on for all of this and more in this issue of NewsClicks. Be sure you don’t miss out on our future mailings. Subscribe today!